According to U.S. news source the Sun-Sentinel, commercial operation of video arcade slot machines has this week been deemed illegal in Seminole County, Florida - with penalties for violation of this law including a $500 fine and six months imprisonment. Video arcade slot machines, which have proliferated in dozens of adult arcades across the state, are now illegal in Seminole County under an ordinance approved Tuesday by the County Commission. The ordinance closes a loophole in state gambling laws by declaring all such video slot machines illegal. "We are broadening the definition to include all of them, whether they involve skill or not," said Robert McMillan, county attorney. People who violate the ordinance, which applies only to machines owned for commercial use, could be fined up to $500 and face six months in prison. The ordinance does not affect video-slot machines owned for personal use. The ordinance also specifies that other arcade games such as pinball, skeeball and shooting games are not considered slot machines. The commission approved the ordinance unanimously. Florida statutes ban slot machines, but a 1997 revision created an exception for arcade amusement centers and truck stops. Those businesses can operate games of skill, in which players receive points or coupons that can be exchanged for merchandise. Adult-arcade operators claim refuge under the arcade exception - the so-called "Chuck E. Cheese's" loophole. Arcade owners say they should be free from prosecution because they award gift cards, restaurant coupons and other low-stakes prizes to players of digital slot machines. 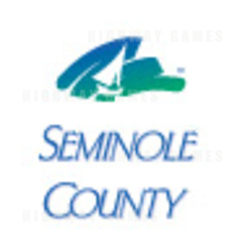 Seminole County's new ordinance bans slots countywide, but gives cities the option to pass local legislation allowing them. So far, only Sanford has passed laws allowing adult arcades in certain areas of the city. But the video slot machines have been considered illegal in Sanford since January, when a Volusia County court ruled the machines violated state statutes, said Sanford City Manager Al Grieshaber. No arcades ever opened in Seminole County, but other jurisdictions have shut them down, arguing the video slots do not involve skill. Adult-arcade owners insist that modifications to those games make them games of skill. In November, seven Volusia County adult-arcade owners were arrested and charged with running illegal gambling operations. Although Volusia did not have a law prohibiting video slot machines, a circuit judge in January declared the devices illegal. But in February, Rosemarie Hall opened what's now Volusia County's only adult arcade. She said she did not understand why lawmakers were making such a fuss. "You know what [Seminole County commissioners] should do before they make a decision?" Ms Hall asked. "They should come up here and look, because my intention is to abide by everything that Volusia County tells me." Ms Hall said her games at Alley Katt Arcade on Deltona Boulevard are legal because they are coin-operated games of skill in which players earn points redeemable for merchandise such as necklaces, toys and hand-painted T-shirts, but not for gift certificates, which were offered at the now-closed arcades. Players can earn points by pressing buttons to freeze whirling digital images like those on a conventional slot machine. Gary Davidson, a sheriff's spokesman, said deputies are continuing their investigation.